Personality-driven sites such as Grantland, The MMQB, FiveThirtyEight and so on have added a lot to the sports conversation, but one of the most-discussed ones isn’t even in existence yet. That would be controversial sportswriter Jason Whitlock’s own ESPN site, which doesn’t even have a name yet, but was dubbed “Black Grantland” by Whitlock himself in an August 2013 podcast with Bill Simmons. The site, and Whitlock’s involvement with it, has already drawn substantial praise and fire despite a lack of substantive detail, with Greg Howard’s Deadspin piece on Whitlock and the site last month particularly stirring the pot. ESPN ombudsman Robert Lipsyte weighed in on Whitlock and the wider issues around the company’s “affinity sites” last week, but while his piece makes some valuable points, it doesn’t ask some crucial questions, and its omission of any reference to Howard’s piece is particularly notable. “Much of the anticipation for the Whitlock site has to do with the big question: Will the network learn from those issues with the espnW site and allow the new site to confront the highly nuanced African-American reality in a sports industry that has progress and shortcomings open for endless debate? This is especially important on ESPN — where the opinions of such regular black commentators as Whitlock, Michael Wilbon, Scoop Jackson, Jemele Hill, Bomani Jones and Stephen A. Smith have sometimes clashed — in ways that are still evolving. Even in his return to ESPN.com as a columnist, Whitlock has been too quick to wrestle in the mud. His opinions, although usually thoughtful and humane, are frequently controversial among fellow black journalists. To read Whitlock’s archives closely is to follow his balancing act between overreactive responses to perceived slights and a bold intelligence that can lead a discussion. He has written about gun control, the N-word (he’s against its use by anyone) and the mass incarceration of young African-Americans — and he has convincingly related those subjects to sports. There’s nothing wrong with Lipsyte liking or praising Whitlock’s work, and he makes valuable points; Whitlock is quite talented and can definitely be effective at times in his attempts to connect social issues and sports. However, “frequently controversial among fellow black journalists” is drastically underselling the criticisms Howard raised, and the lack of mention of (or link to) that piece is an omission. This wasn’t a little-read piece in the corner of the internet, or just one person’s opinions; it was a big Deadspin feature, including both Howard’s personal criticisms of Whitlock, but more convincingly, criticisms from “dozens of [Whitlock’s] black colleagues,” and it drew plenty of attention in the sports world. It wouldn’t be surprising if that piece had at least some effect on Lipsyte’s decision to write about Whitlock, especially as that’s been the most recent, and quite frankly, only real news on the Whitlock front. For that matter, the lack of answers from John Skipper and anyone at ESPN with regards to firm details about Whitlock’s site, a year into the project, is incredibly puzzling. Given the fact that so much time has passed, some more piercing questions into why Whitlock’s site has made seemingly no progress while other affinity sites like FiveThirtyEight have been rolled out in full need to be asked and answered. Not as convincingly, Whitlock maintains that many of his most outrageous tweets and remarks came during his “Off-Broadway” period when he was scrambling for attention outside the walls of ESPN. Now that he is “on Broadway, at ESPN,” he will be able to be more of a mentor and statesman, like his own inspiration, Ralph Wiley, who starred on Page 2 until his death in 2004? Whitlock’s “maturation,” as Skipper calls it, will be a critical factor of his success or failure on his own site. Lipsyte’s piece shouldn’t be written off entirely, as there’s useful information in there too. In addition to discussing Whitlock and his plans, Lipsyte’s piece goes through each of ESPN’s various initiatives, outlining the successes Grantland and FiveThirtyEight have had but the struggles espnW has faced. The espnW comparison is an interesting one; it doesn’t fit into the personality-driven category (as there’s no one distinctive voice for it), but there are some crossovers with the plans for Whitlock’s site. espnW has tried both to give female writers a platform and to lead the conversation on women’s sports, LGBT issues and the like. That’s a difficult balancing act, and it sounds like the same one Whitlock’s site will be going for; thus, it may make more sense to compare Whitlock’s site to that initiative than to Grantland or FiveThirtyEight, and Lipsyte discusses espnW’s successes and problems well. In particular, the frustration of voices represented in Lipsyte’s column claiming espnW has been marginalized in the larger ESPN.com empire are worth further investigation. However, his downplaying of the criticisms of Whitlock is problematic. It’s not an ombudsman’s role to go out and get criticism, but once they’re out there (and as numerous and prominent as the ones in the Howard piece were), they need to be addressed. The most crucial issue raised in Howard’s piece (why so many black journalists hate Whitlock) wasn’t discussed anywhere near enough by Lipsyte here, and that only leads to more questions about what’s really happening with a site that is perpetually under construction. Pingback: Does the idea of an Adrian Wojnarowski-led NBA-only site have legs? 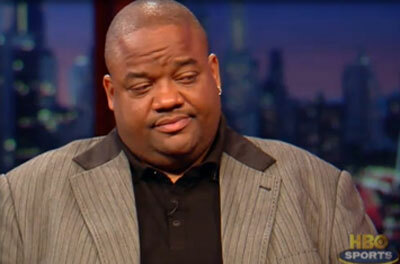 Pingback: What will ESPN do with Jason Whitlock, their very own "Bighead"?